Independent & Group Victoria & Melbourne Tours Packages in 2019/2020 from Travelbag. 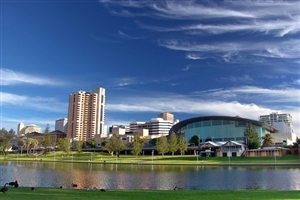 Headlined by the fabulous city of Melbourne, the state of Victoria to the south-east of Australia may smaller than most of its counterparts, but it packs a lot into its relatively modest borders. With an enticing blend of natural splendour and city slick lifestyles, while the state of Victoria certainly appears small nestled between South Australia and New South Wales, it still covers a vast 92,000sq miles, making it an exciting and varied choice for an Australia tour. Naturally, no tour of Victoria is complete without book-ending it with a visit to Australia’s second largest city of Melbourne. Often considered Australia’s cultural capital, Melbourne’s contemporary architecture, historical pockets and engaging culture have earned it a global reputation as a must-visit destination and provides a superb welcome to this magnificent nation. With Travelbag, you will have the chance to discover this for yourself, whether you wish to explore the boutique shops of Centre Place, jump aboard the quaint tramways or visit the city’s numerous world-famous cultural venues. 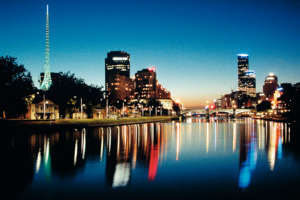 Indeed, Melbourne is Australia’s heartland for all things cultural with dozens of theatres, galleries and museums showcasing an array of world-class attractions. Whether you’re taking in a performance, admiring international artwork or immersing yourself in Australia’s love for all things sporty, Melbourne is arguably one of the world’s very best cities in which to ‘do’, rather than just ‘see’. Moving away from the city centre, the wider state of Victoria offers a chance to discover some of Southern Australia’s prettiest views, particularly if you take to the Great Ocean Road, a pretty highway that wends its way across the coastline for spectacular vistas across the water. However, for those seeking some Australia’s most extraordinary angles, a trip to Grampians National Park is destined to take your breath away with its beautiful unbroken views and unspoilt landscapes. Indeed, a Victoria & Melbourne tour has something for everyone, whether you’re enticed by the cultural centrepieces of Melbourne, the incredible natural beauty of Grampians National Park or the splendour of the iconic Great Ocean Road. Book a Victoria tour with Travelbag to discover what you’re missing. From the cultural attractions of Melbourne, to the scenic beauty of the Great Ocean Road, to the natural splendour of Grampians National Park, a Melbourne tour is a chance to experience the very best that awesome Australia has to offer. 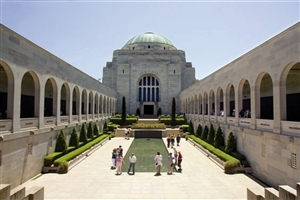 Whether you want a plentiful itinerary on an independent tour, the convenience of an escorted tour or the intimacy of a small group tour, Travelbag has the Victoria and Melbourne tour to suit you. For more information about Travelbag’s excellent range of Melbourne & Victoria tours, call 0203 944 2201 to chat with one of our knowledgeable travel experts about creating the perfect Melbourne & Victoria holiday for you. If you’re spending time in Melbourne, why not immerse yourself in city’s passion for sport by watching an Aussie Rules game.